Since Fall 2000, Virgil Wong has taught photography, film, and interactive media as an adjunct faculty member at The New School Master of Arts in Media Studies Program. In 2005, he received The New School’s Faculty Mentor Award for Outstanding Teaching. Virgil is currently teaching the Media Practices: Concepts course required for all Master’s degree students in their first year of study. This course looks at the character of different media forms, the relationship between forms, and guidelines for choosing which combination is best for a given communications project. Concentrating on design thinking, it offers an experiential tour of the creative toolset and critical precepts of media practice and is the foundation course for additional Media Practice and project-based courses. Through a series of short projects, students work with sound, the digital still image and its sequencing, lighting and the moving image and digital post-production and distribution techniques. Using simple digital tools, student designers focus on the important primary concepts of digital media making. Additional major software used professionally and in subsequent Media Practice and project-based courses are introduced, though not explored in depth. Outside-class Saturday lab sessions provide additional instruction in production equipment and software techniques. The course’s goal is to reconnect media designers to their personal sources of creativity. By semester’s end, each student will have completed a series of individual projects combining media formats and a collaborative project, undertaken in the groups’ choice of medium, to satisfy an assigned design problem. 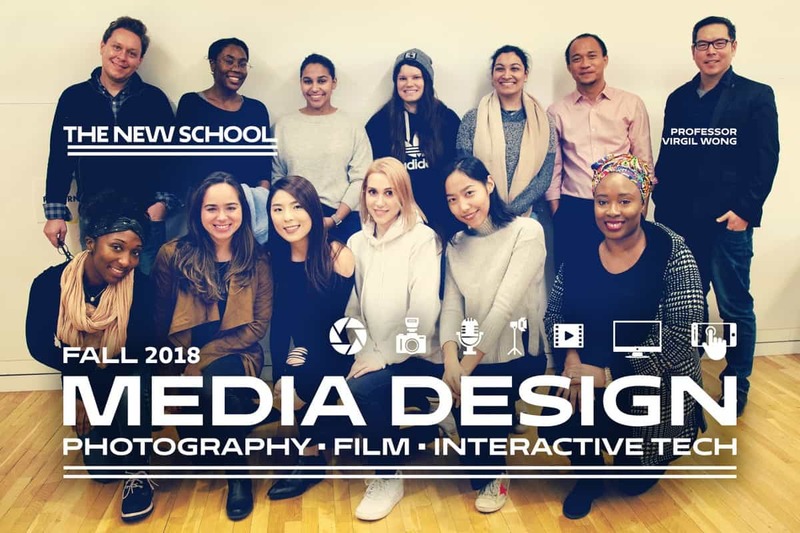 The course’s broad goal is to reconnect media designers to their personal sources of creativity and to help orient them to the program’s Media Practice course curriculum.